Mostly Board Games: Waiting To Visit The Full Bazaar! Waiting To Visit The Full Bazaar! I've got a few busy weeks coming up (basically until after easter) but am hoping that board gaming doesn't get pushed aside too much. Also playing with new review formats and am currently leaning towards a Q&A type review that hopefully covers most of the questions one who was interested in the game, would ask. Will see what happens, but it's been a long while between reviews so am hoping to change that soon! Thanks for your patience! Until then here's another weekly recap..
Istanbul - Mocha & Baksheesh: I really enjoy Istanbul and have no problems that it's a lighter more accessible board game. However, I wouldn't mind a bit more tense strategy and countering your opponents moves either and everything I've read about Mocha & Baksheesh makes it seem to be just that! 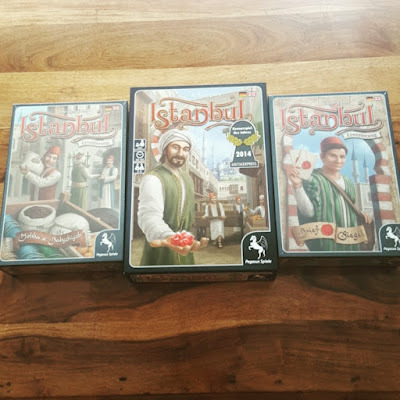 I'm at a slight dilemma at the moment however as I enjoy basic Istanbul enough that I'm happy to play without expansions and am wondering whether I wait for it to become a little stale before throwing Mocha & Baksheesh in. And I'm also yet to try letters and seals - do I try them together to create a giant bazaar of excitement, embrace the changes slowly one at a time, or wait until I'm completely board of vanilla Istanbul? 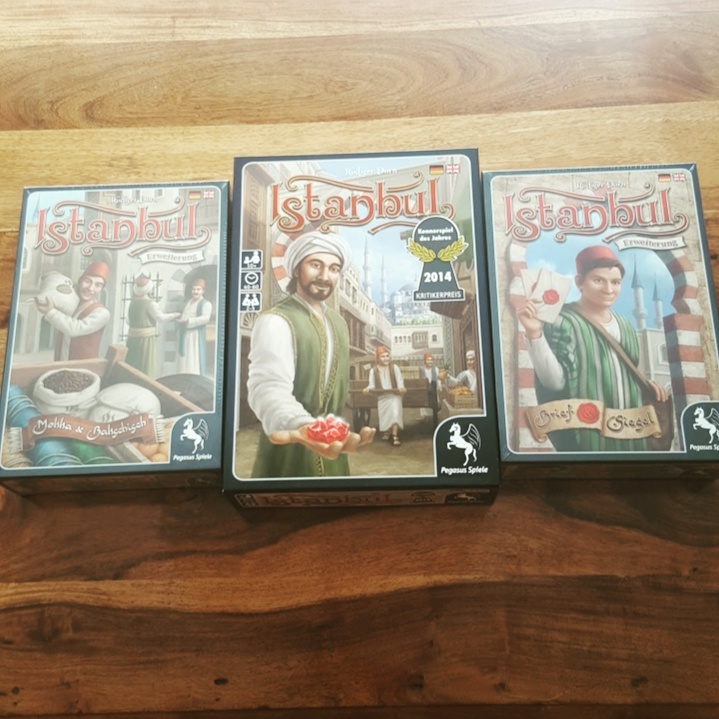 No idea what I'll do yet but I'm happy to complete the Istanbul collection.